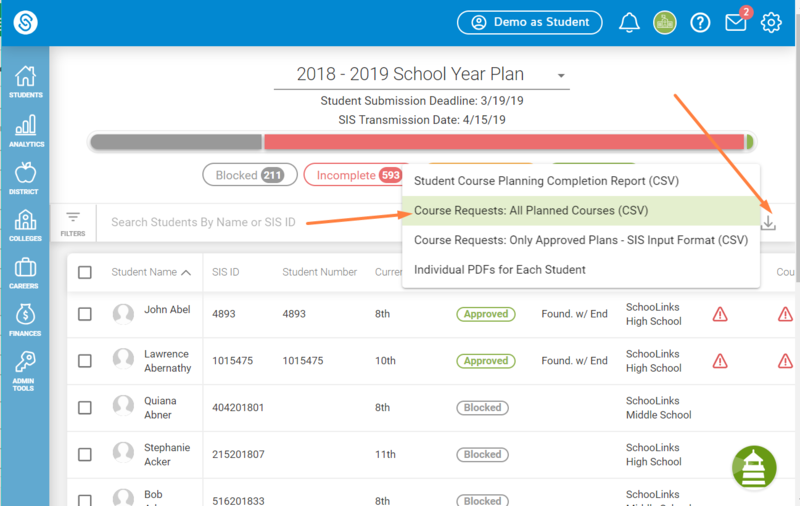 Counselors should use this reporting feature to have a high level understanding of student's course requests for that school year. DO NOT USE THIS REPORT TO IMPORT INTO YOUR SIS. YOUR DISTRICT WILL DO THIS AT THE END OF COURSE PLANNING. From the dashboard, hover over the Apple icon and click course planner. 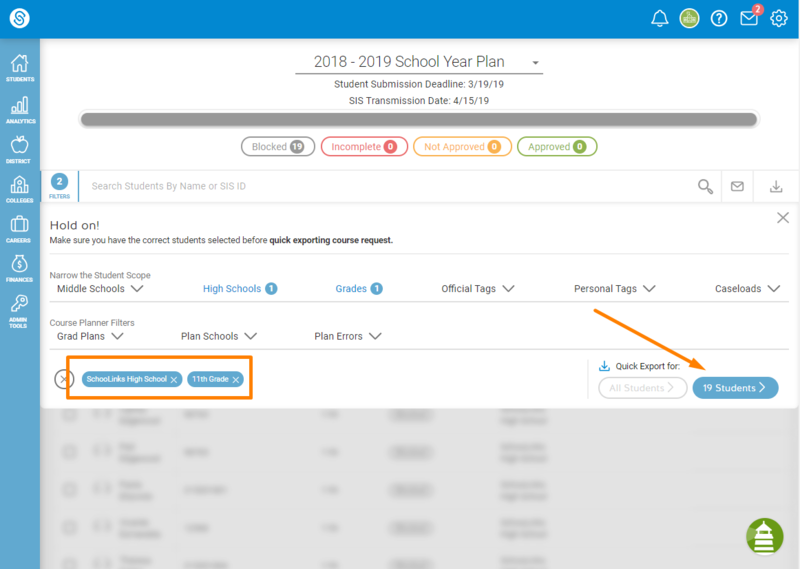 Click All Students to download course requests for all students, or filter for certain students and click # of Students button. A CSV report will be downloaded to your computer.